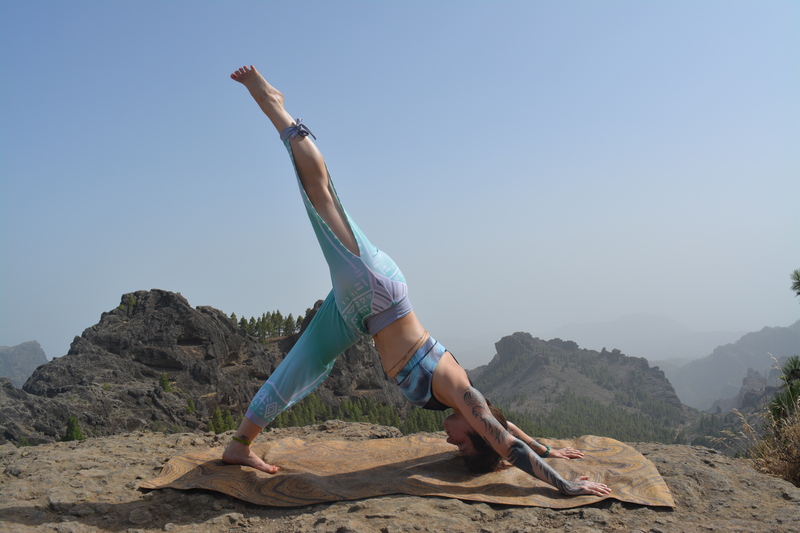 Shasha is the yoga teacher and guide you've been searching for! My yoga journey began, unromantically in a gym in Croydon in 1998. My first teacher, Mr Paul, inspired what was to later become a big part of my career. It wasn’t until 2013 that I set out to train as a Yoga Teacher at Feel Hot Yoga. Now I can’t imagine not teaching yoga! My practice and teaching have expanded to incorporate singing bowls, rattles and healing song as I seek to bring wellness and healing to my yogis in the midst of their challenging lives. The practice is strong and precise, taking care of the body with full awareness and bringing freedom to those places such as the shoulders, neck and hips where we typically archive our emotions and stress. As someone with hypermobility, I also have a unique understanding of how this condition can be supported through yoga. I am a registered RYT 500 teacher with Yoga Alliance UK which demonstrates excellent standards as set by Yoga Alliance UK. I hope to see you at a class or workshop soon! I have recently made the move from Hertfordshire to Worcestershire, so I am researching Yoga teaching opportunities at present. If you are a yoga studio and would like to offer me an audition or placement on your covers list, please give me a ring on 07854 157 234. A delightful class to wake up, mobilise and open the body. Realigning, regenerating and re-affirming our relationship with the body. Suitable for all levels and even if it’s the morning after the night before! This workshop will guide you through some of the best known yoga poses and sequences. The attention to awareness and alignment within the poses will give you much greater confidence that will carry over into your regular classes. It is suitable, both for complete beginners, and also for those feeling the need for a more precise understanding of poses you are getting to know. For more studio info visit www.feelhotyoga.co.uk. For timetables, prices and booking visit www.theyogashedhitchin.com. You work hard all day, being everything to everyone. You put your whole self into every project, every interaction, and every moment. At the end of the day you’re exhausted, collapsing on the couch, feeling like you just. can’t. even. This surviving b.s. is really getting to you. You want to thrive but you’re not even sure where to begin. Shasha Crow, a Spirit Rebel from the UK and Christa Bitner, a Rogue Nutritionist from the US, who met in the jungle of Belize. Between hammock time, river adventures, and a dip in the goddess pool, a deep friendship was born! Both of these women have personal experience with the pattern of striving for perfection – followed by self-sabotage, leading to burnout. They have actively worked to regain their own energy and confidence through food, lifestyle, and spiritual practice, and both have personally experienced the power of retreat in creating lasting transformation. For full details and to apply for your place on this magical adventure, visit the Retreat Details Page.